California summer weekends. Get to higher elevations now for cool breezes and secluded lakes. Escape city life, today. Total Escape shows inexpensive travel ideas for those who prefer spending their summer outside. Sierra Nevada mountains, NorCal coast, Central coast, wine country, gold country, high country. We have it here. 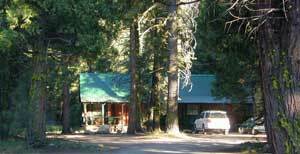 All the recreation campgrounds, private creeks and wilderness. Cali A - Z: we have the outdoors covered! High country hikes, backcountry volcanoes, fishing high Sierra mountains; Sonora Pass, Hwy 108. Elevation is 6950' above sea level. Stanislaus National Forest expands in every direction. Dardanelle, deep into the Sierra NF. Explore more at Huntington Lake. Back roads, camping, creeks, river fishing, hiking, mountain biking, backpacking. Alpine, creeks, rivers, snowmelt, granite, volcanic, ancient geological California history. 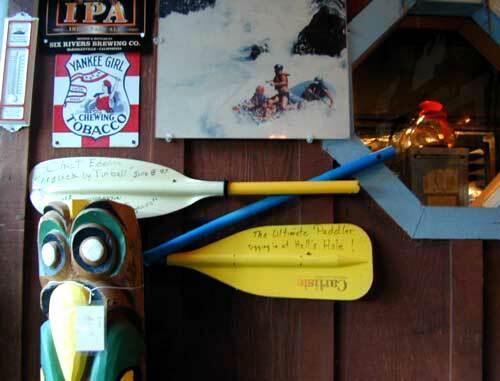 People love the Russian River and it's proximately to the coast and Sonoma wine country. Jenner at the beach is a destination for kayaks. Guerneville has the charm if Hillcrest. Mountain biking and hiking trails throughout the whole area. 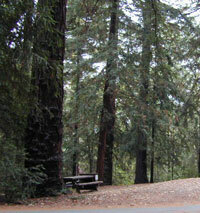 Redwood forests include Armstrong State Park and Austin Creek SRA. This vacation villa is popular with San Francisco folks, so if you don't wanna camp out, be sure to reserve your lodging in advance.